The directors of a Peterborough firm will be sentenced at Crown Court after their business carried out aggressive selling to vulnerable elderly customers. Senior staff at Life Comfort Products admitted the aggressive sales techniques at a Peterborough Crown Court hearing. The family run firm sells chairs and beds to elderly residents who may have mobility issues. Aggressive sales from the firm included giving misleading information to customers, including telling them chairs were made at their family owned Peterborough factory. Sales staff also ignored no cold calling stickers, made appointments when asked not to and even disrupted mealtimes and other commitments for the customers. Directors Jacqueline and Geoffrey Turner and the firm itself admitted designing a script and training canvassers to increase pressure on customers to agree to a demonstration. In total six members of staff will be sentenced at Peterborough Crown Court on Monday, January 8 2018. They are directors Geoffrey and Jacqueline Turner, senior officers David Turner and Tim Clark and employees Joel Henry and Brendan Donahue. The firm itself will also be sentenced in January. They had all indicated not guilty pleas at a magistrates’ court hearing earlier in the year, but changed their plea at Crown Court. Clarke admitted targeting addresses clearly identifiable as being elderly residents’ homes and instructing staff to ignore no cold calling zones. David Turner admitted quoting a high price for a bed for a customer - and then offering it for considerably less if ordered on the same day. Henry admitted demonstrating a product to an elderly customer who told him she suffered from dementia for two and a half hours. Donahue pleaded guilty to writing out cheques for vulnerable customers who were physically unable to do it themselves, and misleading consumers over the medical benefits of products on offer. Peter Gell, head of regulatory services for Cambridgeshire and Peterborough Trading Standards, said: “We are pleased with how the court cases are progressing so far. Six other members of staff - Michael Dodd, Stephen Millward, Sally Shepherd, James Puttrell, Michael Driscoll and Mohammed Hure were listed to appear at Crown Court yesterday. Shepherd, Millward, Dodd and Puttrell all accepted cautions for offences surrounding sales. Hure and Driscoll accepted an enterprise act undertaking - which Peterborough Crown Court was told was the equivalent of a civil caution. They had all faced charges, but not guilty verdicts were officially recorded at the court hearing yesterday. 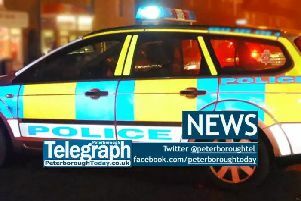 A 13th man who has been charged in connection with the firm is due to attend Peterborough Magistrates’ Court on Wednesday, November 22.